This weeks poll winner was Crooked Stave Blackberry Petite Sour. 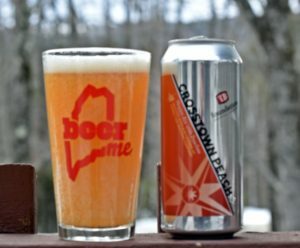 I have enjoyed everything I have tried from Crooked Stave, most of which have been the bottles distributed to Maine and Vermont. This bottle dates back to March 2012 when they still used the 750 ml bottles. 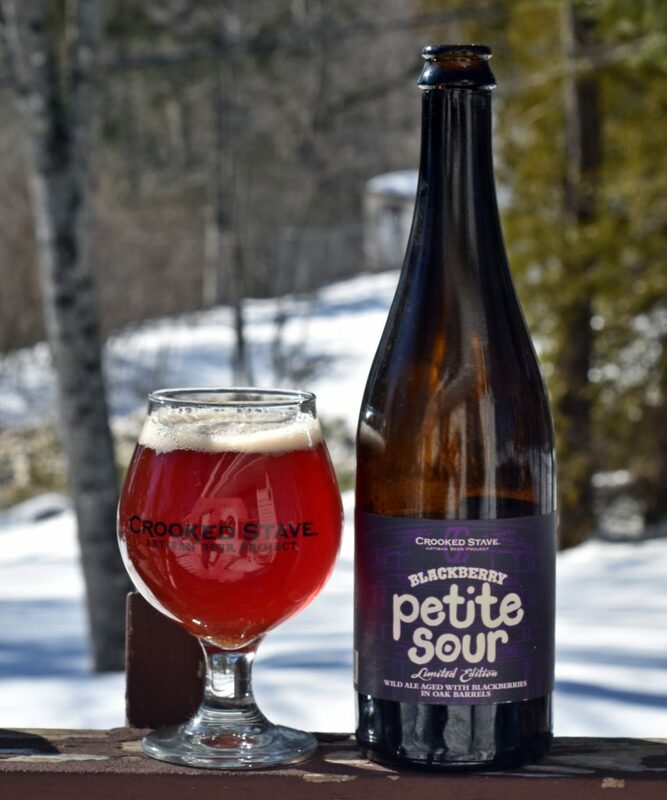 Blackberry Petite Sour was a limited release, hand numbered bottles and this one was 592 of 857. I acquired this bottle through a trade some time ago and it has been in the cellar ever since. Pour is a deep red almost purple with a thin off white head that dissipates quickly. Aroma still had plenty of blackberry funk along with some oak. Taste was very tart and still full of blackberry flavor, basically sour blackberry juice. Being a 750 ml bottle it took a while to get through the entire bottle but I enjoyed it. Not a beer I would recommend drinking with a meal but great for a Sunday afternoon when you have nothing better to do than sip on a fine beer. With fruited beers I never know how the fruit will hold up over time. I did not have a chance to try this beer fresh so nothing to compare it to but 5 full years after it was bottled the blackberry was still very prevalent. Allagash Coolship la Mûre is also a blackberry sour so I will be opening one of those soon to compare. Overall I give this beer a solid 4 / 5. Solid week for visiting breweries. Monday I had to be in Mass for the Mass Brewers Guild quarterly meetup at Medusa Brewing in Hudson, MA. I decided to hit Trillium in Canton first thing since I was in the area and they were releasing The Street their 4th anniversary Triple IPA. I arrived at around 11:20 found no lines and was out in less than 5 minutes with my limit of The Streets, a 4-pack of A Street and a new glass. On to Medusa Brewing in Hudson where I enjoyed three different beers all of which were excellent. If you have not been to Medusa yet be sure to check them out as it is a great spot. Wednesday I had to be in Falmouth, ME for a meeting and Bissell was releasing Swish so I hit Portland first. Very short line and was out of Bissell in about 20 minutes with 3 4-packs of Swish, this batch is drinking incredible. 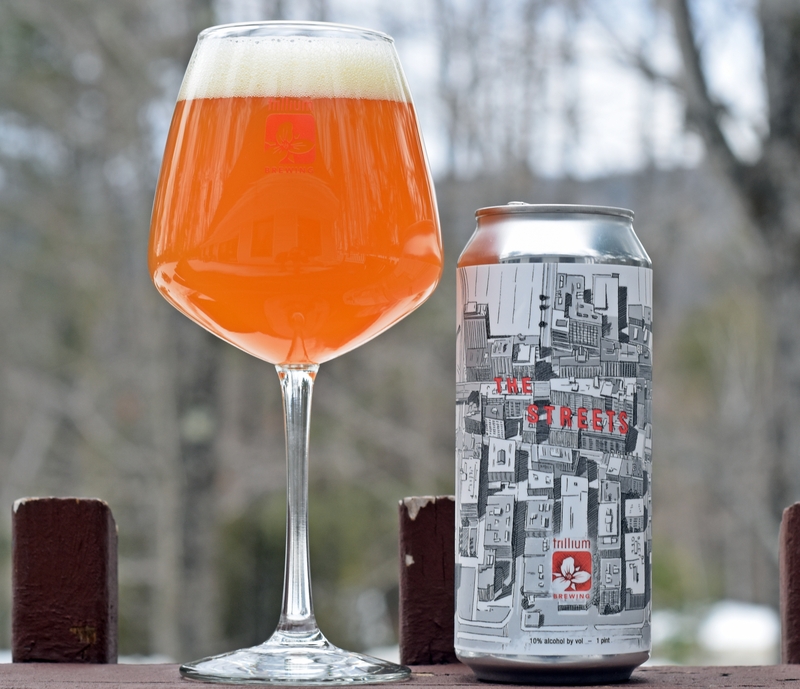 Friday I made the trip to Tree House in Monson, weather was questionable and the drive home took longer than I had hoped but ended up with Doppleganger, Sap and Very Hazy. 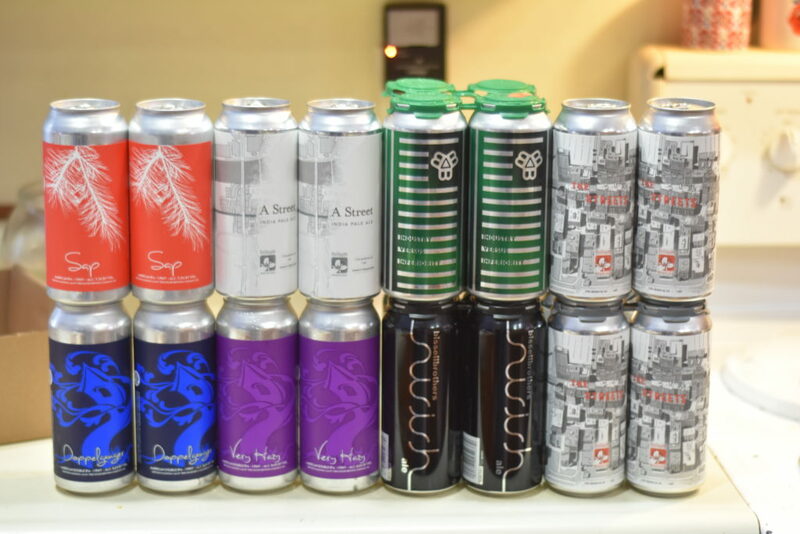 A total of 9 cans which isn’t bad for a trip to Tree House. 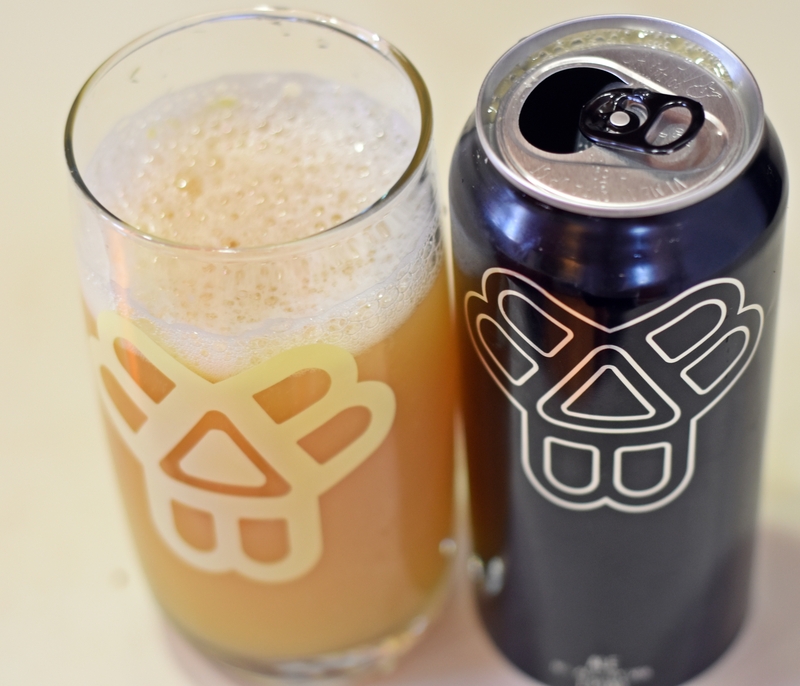 Also traded a couple Trillium cans for Bissell’s Industry vs Inferiority which I have yet to try. Lots of miles logged but my hop supply has been replenished. 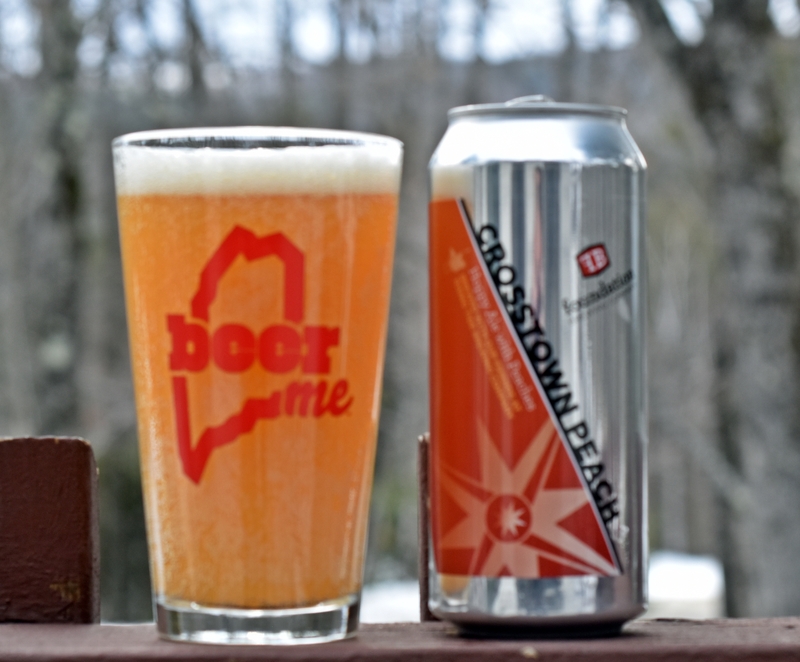 Love both the breweries that are involved in this release, Foundation Crosstown Peach and Rising Tide’s Crosstown Peel, both beers brewed with fruit and plenty of hops. I snagged a 4-pack of Crosstown Peach but have not tried Crosstown Peel yet. Pour is typical pale ale, orange color, a bit merky and thin white head. Aroma has a bit of peach but not as much as I had hoped. Flavor follows with a bit of peach and very little bitterness. Overall I enjoyed this beer, nothing too crazy but solid beer that will not disappoint. Every beer Trillium releases has a fair amount of hype but when they announced their 4th Anniversary Triple IPA there was a lot of interest. It worked out that I was in Mass on Monday so I stopped by the Canton location. No lines no waiting but $22.20 per 4-pack which may be a new record for the most I have paid for a can of beer. Pour is typical Trillium, bright orance, murky and solid white head. Aroma is huge fruity peach and orange. Taste follows with a huge tropical fruit character. Bitterness was minimal and alcohol was almost completely hidden which is impressive for a 10% ABV beer. Really great beer and one that actually lives up to the hype. Surprisingly this is the first time in all my visits to Trillium that A Street has been available. While I love this double dry hopped beers and big double IPAs their single IPAs are some of the best out there. 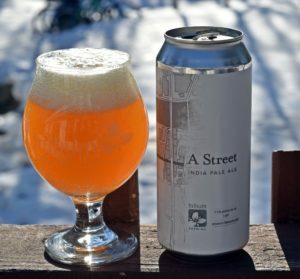 A Street is one of those single IPAs right there with Congress Street and the others. Great beer that I really enjoyed, do not pass on these beers if you happen to stop at their locations in Boston or Canton. 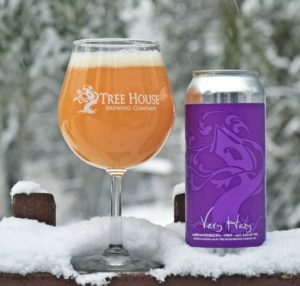 Oh Tree House, everyone that enjoys hops knows how about Tree House and the crazy demand for thier beer. I ended up making the trip on Friday which was good timing on my part as I ended up with Very Hazy, Sap and Doppleganger. Very Hazy is their DIPA version of Haze which is an excellent beer. Very Hazy pours a hazy 🙂 orange with solid white head. Aroma has loads of tropical fruits, lots of grapefruit. Taste follows with plenty of citrus and tropical fruits, so juicy and a slightly bitter finish. Alcohol is completely hidden even at 8.6%, just a great beer and one that I would love to drink more often but with the 2 can limit it will be a rare treat. I have reviewed Swish before so you can search and find the original review. That said this batch is crazy good with huge pineapple flavors. Such a great beer that again lives up to the hype. This week’s poll is all about blueberry beers. I could have included Allagash Lil Sal in the mix but I have had that beer on more than one occasion so stuck with these three. This is the first week that I have a beer that I want to win. Hoping the public agrees. 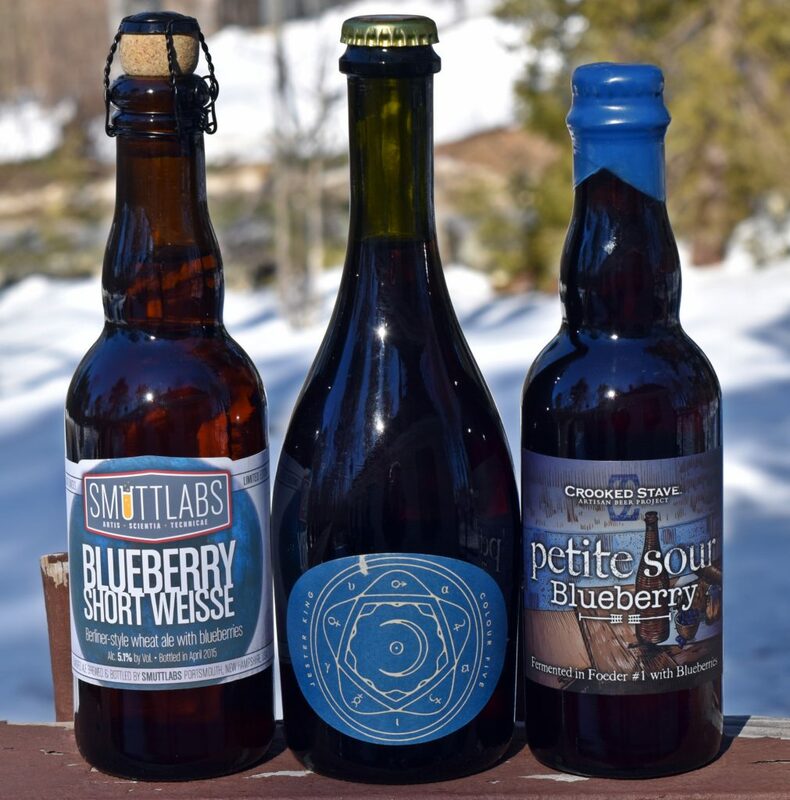 – Smuttlabs Blueberry Short Weisse – Blueberry Berliner Weissbier.